After previewing these dope Air Jordan 1’s this past month, we get an official release date on another pair of “Laneys.” Now not everyone will be able to get their hands on the Air Jordan V (5) “Laney,” however these will suffice if your local shops don’t have V’s coming up this weekend. 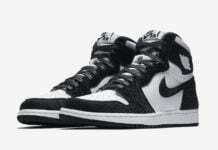 The Air Jordan 1 is said to no doubt be the most casual, everyday shoe and with the leather/suede combo and the Varsity Maize and Game Royal colorway on this masterpiece these would be hard to pass up. The Game Royal gets the toebox as well as the tongue and middle Nike Swoosh panel whereas the Varsity Maize takes on the front of the toebox, the heel, lacing eyelets, Nike Swoosh and the bright outsole. 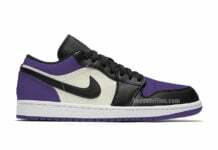 A contrasting white midsole and tonal Nike Air branding on the top of the tongue of the kicks are sure to be major selling points as these hit shops on November 16th. 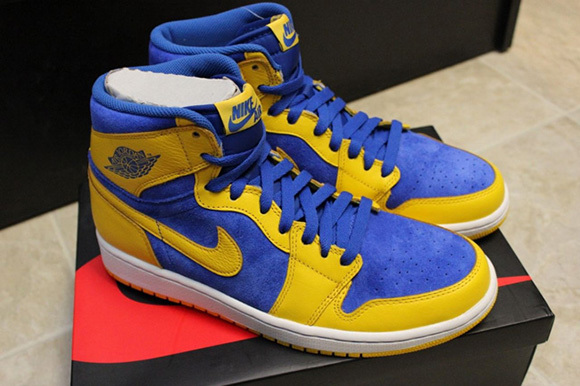 Do you plan on copping a pair of “Laney’s,” if so which ones? 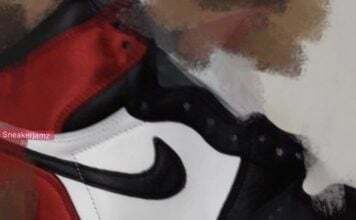 Jordan 1’s, CP3’s, or probably the Jordan V’s? Tell us in the comments section below and stay tuned to Sneakerfiles for more news on kicks and gear daily!